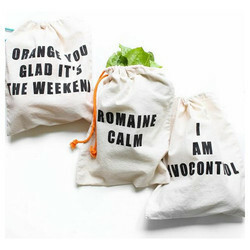 Grocery Bags are widely used for carrying any kind of articles which are used in day to day life. They are durable and re-useable because of its strength. It is manufactured by latest machinery using Ultrasonic Sealing and is fully Automatic. It can be provided in 35 GSM to 100 GSM. Sizes can be made as per customers requirement. Grocery bags one-stop-shop based in India Ahmedabad from where you can obtain different types of non woven bags. We present all kind of non woven shopping bags, which all are universally appreciated for their unmatched quality. We are a prominent printed non woven bags manufacturer, based in india Ahmedabad. Size : As per your specificstion. Our organization instrumental in providing a wide range of Grocery Bags to our valuable customers. This range of Grocery Bags is manufactured by high grade material and available in various specifications. Known for its best quality, we offer these Grocery Bags at most reasonable prices to our precious customers. Shiv Flexi Pack Pvt. Ltd. Traditional plastic bags are usually made from polyethylene, which consists of long chains of ethylene monomers. The polyethylene used in most plastic shopping bags is either low-density or, more often, high-density. 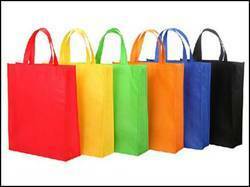 Niraj Polymers offers high quality grocery bags. We provide various y-shirt bags, which are widely acclaimed for their reliability, durability and have aesthetic appeal. These are fabricated using quality raw material and are available at reasonable prices. We offer an array of that is available in various sizes.